Manchester United will play Bayer Leverkusen in the 2013/14 Champions League group stages on Wednesday 27th November, kick-off 7:45pm at the BayArena. This match is scheduled to be broadcasted live on Sky Sports 1 in the United Kingdom and by many television networks around with world. The BayArena holds 30,201 people and is a 20-minute walk from the nearest train station, Leverkusen-Schiebusch. The ballot for executive members, season ticket and One United membership holders for Bayer Leverkusen vs Manchester United at the BayArena is yet to be open from Manchester United Football Club, we will let you know as soon as it does. We are rumoured to receive an allocation of around 3,000 with an estimated pricing of €50. Good luck in the Bayer Leverkusen ballot. 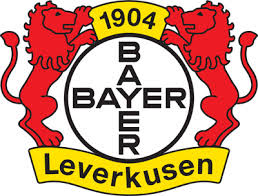 The Official Manchester United Travel for Bayer Leverkusen away in the Champion League is through Thomas Cook. Pricing for flights direct to Dusseldorf from the United Kingdom are from £60 return, click here to search for your flight. There are other flight options for Bayer Leverkusen vs Manchester United, you can fly into other German airports and commute via train or coach direct to the stadium area from there. You can fly to Cologne, Frankfurt, Dusseldorf Weeze, Dortmund or Hanover and commute from there to Leverkusen. Flying direct to Cologne seems to be the cheapest option if you are doing so on a budget. There are many different options and locations available to stay in Leverkusen and Dusseldorf for this match. Chelsea vs Manchester United – United’s Starting XI? BayArena is also in walking distance from Leverkusen, Bahnhof Mitte (probably even closer), connected to Cologne and Düsseldorf by the S6 train (aprox. 30 minutes from both cities´ main stations). If you want to go out, it´s probably better to stay in Cologne or Düsseldorf (not a lot happening in Leverkusen, unfortunately) and their fans will love you if you beat Leverkusen. I’m from Belgium and a big United fan. Is it possible for me to score tickets for this game in the United stand? Hello. We’are three United fans from Germany and wanna use the possibility of seeing the club of our hearts again. Is there any possibility to score three tickets for the red devils block? I am also a United fan in Germany and looking for tickets in the United stand. Did you guys find something. I got few tickets to sell in home end. I was in Munich, Gelsenkirchen and Wolfsburg and get into United end without any problems. You need to get into the ground and then come to away end. does anyone know how i would exactly get to the stadium once in germany because the flights will be easy but is there any coaches that will take you to the stadium? i heard somewhere that if you have a match ticket public transport is free but do i need to apply for transport or anything? how is everyone else getting to the stadium? I am looking to travel to germany and get tickets in uniteds end anyone with tickets? Does anyone know what sections United have been allocated in the BayArena? Hello I’m from Switzerland and I would love to go watch the match. Does anyone have tickets for the United-sector?